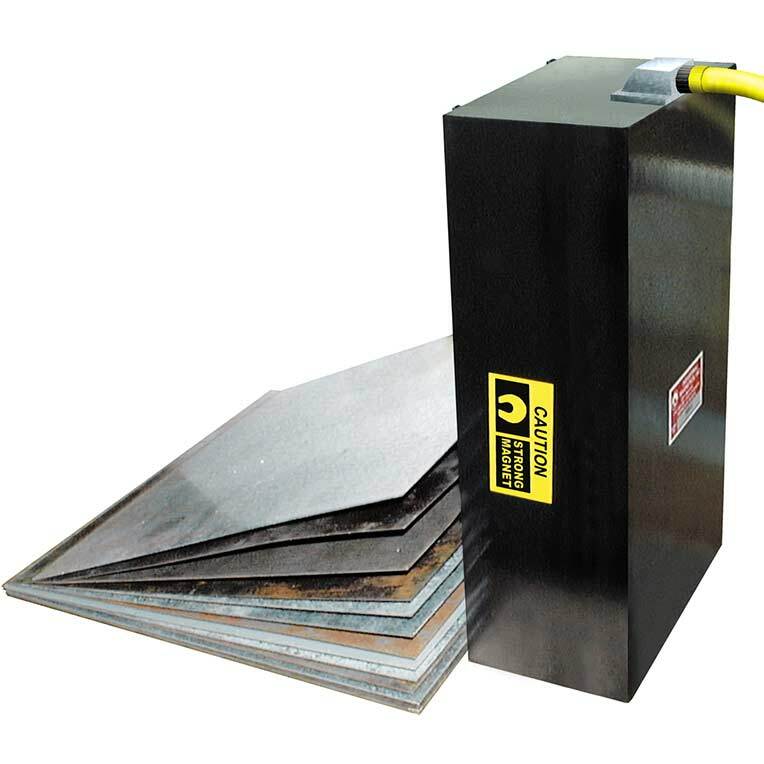 The on/off capability of the Electromagnetic Sheet Fanners provide operator safety during steel blank stacking and un-banding. This on/off control makes cleaning around magnets easier when sheets are not fanned. For automated presses, the electromagnetic fanners are controlled to operate simultaneously with other destacking equipment. Electromagnetic Sheet Fanners require conversion from AC to DC voltage. IMI power supplies are designed to properly convert voltage and provide for operation of single or multiple fanners. IMI power supplies (see Tech Sheet AG-09A) can be equipped with a variable output to adjust the magnetic strength to handle a variety of metal thicknesses.